In this Feb. 19, 2013 file photo, OxyContin pills are arranged for a photo at a pharmacy in Montpelier, Vt. A panel of federal judges will decide whether lawsuits filed on behalf of babies born to opioid-addicted mothers should be separated from a larger federal case. Lawyers representing the babies and their guardians say babies have been harmed directly by the opioid industry, unlike local governments, hospitals and other entities. The long-running federal court case seeking to hold drugmakers responsible for the nation's opioid crisis has a new complication: How does it deal with claims covering the thousands of babies born to addicts? Attorneys representing the children and their guardians want their claims separated from the federal case in Cleveland that involves hundreds of local governments and other entities such as hospitals. They will argue that Thursday before a federal judicial panel in New York. "Then you have to address their developmental and learning problems," Bickford said. "A lot of them have organ problems. A lot of them have problems we don't even know about." Drug manufacturers and distributors oppose creating a new structure for the lawsuits over the children. Separating the cases would "open the door to the inconsistency and inefficiency that coordinated proceedings are designed to avoid," the manufacturers said in a legal filing. Other plaintiffs in the omnibus opioid litigation have not objected formally, but some are cool to the idea of separating the cases involving the children. One of the lead lawyers for the local governments, Paul Farrell Jr., said he is trying to get help for children born with opioid dependency and have prenatal care funded by the drug industry. He said all the plaintiffs share a goal: holding drug manufacturers liable for the crisis. Unless that happens, he said, no one will get the payouts they're seeking. "You've only got to shoot the pig once," he said. 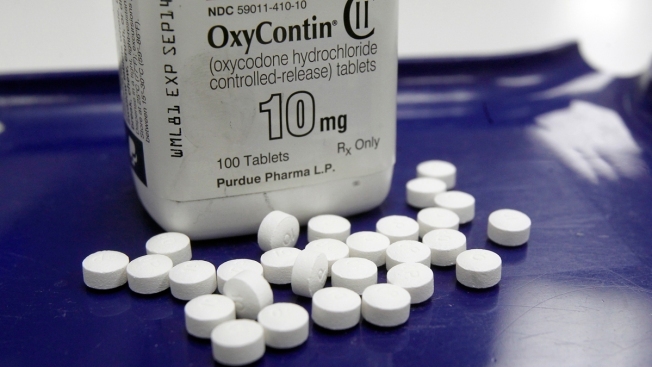 The dispute offers a window into the complicated nature of the litigation in Cleveland, which is the main avenue to a potential nationwide settlement over the opioid crisis. More than 1,400 plaintiffs have had their federal cases consolidated under a single judge. They include county and local governments, hospitals, unions, American Indian tribes and individuals. Hundreds of others have sued in state courts. The federal judge, Cleveland-based Judge Dan Polster, has been pushing the parties to reach a settlement. The sides have been negotiating regularly behind closed doors. The drug industry argues that it should not be held liable because its products are approved by the federal government and prescribed by doctors and because people who overdose often do so on illicit drugs. Lawyers representing children and their guardians say there is precedent for their request to go it alone, after Polster granted the tribes a separate legal track for their claims. In August, the judge denied similar status for the cases brought on behalf of babies. That decision prompted the lawyers to ask the Judicial Panel on Multidistrict Litigation to put their cases under another judge in West Virginia or Illinois. The federal panel in New York will decide whether to grant that request.